Having flown to Halifax, Nova Scotia, I went by bus over the eight mile Confederation Bridge to Charlottetown, the capital of Prince Edward Island. I hired an excellent hybrid bicycle and cycled round the island using country lanes and the low gradient Confederation Trail, which crosses the island and is converted disused railway lines. I cycled over 400 miles in the three weeks, not too bad for a senior citizen! The landscape was gentle with red earth, red beaches, red cliffs and red tracks and either wooded or agricultural. Potatoes everywhere. I stayed in a variety of excellent small guest houses or bed and breakfast accommodation, and the sea food and other fresh local produce was superb. On cooler and the occasional damper days I wore my bright, light weight Rohan cycling jacket, and under my shorts I wore my padded bumper. Much of the time, however, the island experienced an unexpected heat wave and the jacket was packed in my pannier. Thus, something I omitted to bring with me was sun cream (which had to be purchased). I also didn't expect to need insect spray (or clothes treated with anti insecticide) at that time of the year. 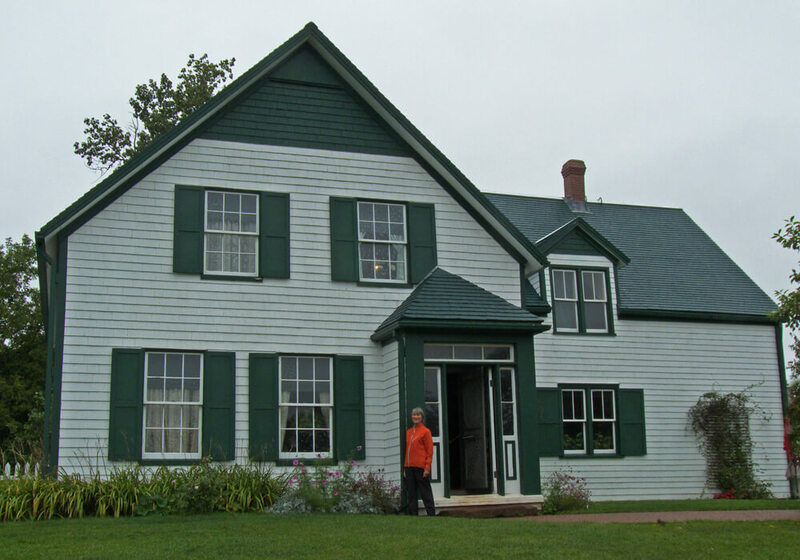 I think one of the highlights of the trip was visiting Cavendish and the Anne of Green Gables area. Having grown up with L M Montgomery's stories it was very satisfying to see where the author lived and wrote them. All together, an unforgettable holiday.